ICNOVA’s BlackBox Lab is one of the partners of CultureMoves, a new research project funded by the European Commission’s Connecting Europe Facility (CEF) program, which supports initiatives that contribute to connectivity between European digital infrastructures. Designated CultureMoves, the project aims to develop a series of digital tools that will enable new forms of tourist involvement and educational resources through the reuse of content from the Europeana program, a European Commission platform for cultural heritage, with a focus on content related to dance and performing arts. The main functionality of CultureMoves will be the gathering of existing content, and other content created by the project itself, in a single portal where the user can register and use tools to add information, create new materials from existing ones and share stories produced online. This partnership between two research groups (from FCSH and FCT) will be responsible for the development of the Creation Tool, a video annotation application created previously for dancers and choreographers, which will be expanded to accommodate more diversified uses, particularly in the areas of education and tourism. The team responsible for this task is led by Prof. Carla Fernandes of NOVA FCSH and Professor Nuno Correia of NOVA FCT. CultureMoves is a consortium of the Fondazione Toscana System, Coventry University, NOVA University of Lisbon and the German company IN2 Digital Innovations GmbH, which coordinates the project and will last for 2 years, and is expected to be completed by the end of 2020. CultureMoves is a user-oriented project that aims to develop a series of digital tools that will enable new forms of touristic engagement and educational resources by leveraging the re-use of content from Europeana, the EU digital platform for cultural heritage. The project stands on 3 pillars: technology for content re-use adaptation and sharing, real-life use cases for tourism and education, intangible cultural heritage and more specifically dance. The key functionalities of CultureMoves are towards effortless collection of Europeana items and own content in a private space from where the user can add additional metadata, create context through stories that re-use this content and finally share these online. UNL will provide a web-based video annotator – MovesAnnotator – that has previously been designed for dancers and choreographers, but which will be further developed in this project to cater for the needs of more diversified types of users, e.g. tourists, teachers and any individual user wishing to share their personal annotations over video clips. CultureMoves will deploy and test two new services: one in the tourism domains and one in the educational and research domain (LabDays as a theoretical and practical cocreative space). 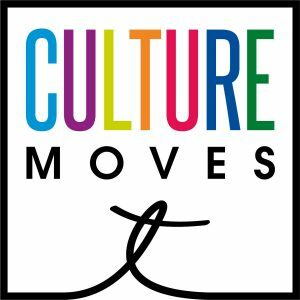 CultureMoves is a project created and developed by IN2 Digital Innovations (DE), Fondazione Sistema Toscana (IT), Coventry University (UK) and Universidade NOVA de Lisboa (PT). – 3 initial stakeholder workshops exploring Europeana’s dance content and its reuse for curating collections and stories with the CMoves tools. – LabDays (theoretical and practical sessions): bringing together performing arts professionals and other stakeholders.